In the United States, we are in desperate need of opioid alternatives when it comes to the treatment of pain. It is fair to say that the problems we face with opioid addiction today, would not be so severe if opioid painkillers were not so effective. Calls to look for alternative forms of pain management have been loud in recent years, yet physicians may be scratching their heads about what to prescribe instead. Unfortunately, many pain sufferers do not respond to meditation and acupuncture. And frankly, severe pain can require the use of powerful opioids. Those tasked with developing opioid alternatives for pain relief are researchers at any one of a number of colleges/universities around the country. But effective research requires large teams working thousands of hours. The point being, finding opioid alternatives could take years to accomplish—when we need solutions now. Nevertheless, researchers trudge sedulously to find such alternatives, sometimes looking for answers in the strangest of places. A number of medications currently used today have their origins in the tropical rain forests of the world. 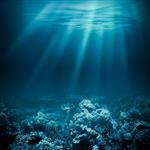 But when it comes to pain management, new options may be residing in the deep blue sea. Meet Conus regius, a species of sea snail that is both predatory and venomous. Researchers at the University of Utah have isolated a compound from the snail's venom that acts on a pain pathway different from the pathway targeted by opioid painkillers, GEN reports. The compound, RgIA4, was successful at blocking alpha9alpha10 nicotinic acetylcholine receptors (nAChR) pain pathway receptors in rodent models. The research was published online in the Proceedings of the National Academy of Science. "RgIA4 works by an entirely new pathway, which opens the door for new opportunities to treat pain," said J. Michael McIntosh, M.D., professor of psychiatry at the University of Utah Health Sciences. "We feel that drugs that work by this pathway may reduce the burden of opioid use." 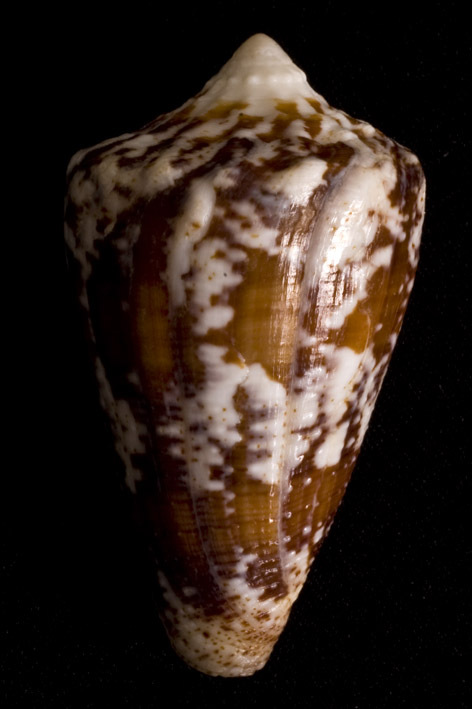 The Conus regius sea snail could be vital for the development of new painkillers that do not carry the same risks as opioids. 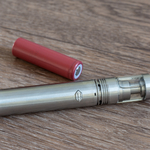 What’s more, while RgIA4 works its way through the body in only 4 hours, the pain-relieving effects of the compound were still working 72 hours after the injection, according to the article. Dr. McIntosh points out that the majority of painkillers used today are not sufficient in addressing chronic pain. Better alternatives may be found in the ocean. Really exciting stuff. “Nature has evolved molecules that are extremely sophisticated and can have unexpected applications," says Baldomera Olivera, Ph.D., professor in biology at the University of Utah. "We were interested in using venoms to understand different pathways in the nervous system." In recent years, the drugs like Naltrexone and Acamprosate have been used to treat alcoholics. While such drugs are classified as opioid antagonists, they have been shown to be effective at reducing cravings for alcohol. The drugs have proven to be useful inside and outside addiction treatment settings. Cravings for any mind-altering substance can be one’s downfall, often leading to relapse for those working programs of recovery. It is for that reason that keeping one's cravings in check is of the utmost importance. Urges to use can creep up on people, and before you know it, one’s behavior can regress back to old ways of thinking about things. Essentially paving a road to relapse. If people in recovery are open and honest with their peers about their cravings, relapse can be avoided. But that isn't always an easy task. Arguably, in a perfect world there would exist a drug that stops cravings altogether in the first place. 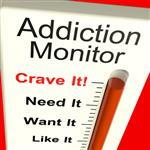 In the meantime, those recovering from addiction must continue to make do with drugs that reduce cravings. While Naltrexone and Acamprosate are effective for some people, with others that is not the case. Researchers continue to create new drugs that can reduce cravings, or research drugs that were intended for something else. As per the latter, addiction researchers have been experimenting with a drug called ibudilast, and have found that it can significantly reduce alcohol cravings in heavy drinkers, PsychCentral reports. Ibudilast is an anti-inflammatory drug used to treat asthma, mainly in Japan. The findings were published in the journal Neuropsychopharmacology. The study was conducted by researchers at the University of California Los Angeles (UCLA) and involved 17 men and seven women, according to the article. The participants reported drinking alcohol an average of 21 days per month and drinking seven alcoholic beverages per day when they drank. Study participants who were given ibudilast reported being in a better mood and having far less cravings for alcohol, than those who were not given the drug. The researcher points out that none of the participants expressed a desire to quit drinking before the study. Moving forward, Dr. Ray plans on studying the drug with participants that are heavy drinkers who want to stop drinking.